Should You Apply for a Credit Card Online or In Person? If you’re an adult, then chances are high that you already own at least one credit card. But perhaps you’re in the market for a new credit card that covers more of your needs, or different needs. Most banks, credit unions, and retail stores offer credit cards to consumers. Typically, these companies offer enticing promotions or discounts to convince you to apply for a given card. Both online and in-store or in-branch applications are often available. Is there a difference between applying online or in person? Is one better than the other? Does it even matter? Most banks and retail stores don’t care whether you apply for credit online or in person. Each application will ask for the same personal and financial information. Sometimes, a given company may not offer online credit applications. Online-only banks or stores obviously cannot offer an in-person application process. Companies that do provide both options don’t care which path you opt to take, though. 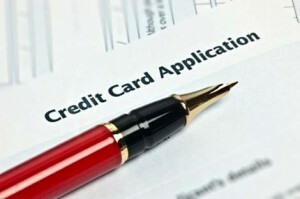 To those companies, a credit application is the same, regardless of the medium used to apply. Plus, all applications are processed electronically after all is said and done. Online applications are processed through electronic systems in less than 60 seconds. If you apply for credit in person, then a similar sequence occurs. A banker will take your paper application and input it into a computer for electronic processing. In retail stores, you might enter information into a POS terminal, but that information is processed electronically, too. All applications hit online servers for processing. As previously mentioned, banks and retail stores simply want you to submit a credit card application. They couldn’t care less when and where you handle this process. An online or in-person application could make a difference for yourself, at least for retail credit cards. In most cases, retail stores allow you to use your credit account immediately both in-stores and online. Banks and other companies make you wait to receive the physical credit card before the line of credit can be utilized. For retail credit cards, you might want to put some extra thought into how you fill out the application. Promotions and introductory offers tend to work in stores and online. Most retail accounts are usable as soon as consumers are approved. At a retail store, you can expect a receipt printout that’s immediately available to use for the first purchase. Quite a few online retail cards automatically connect to your existing online account for immediate use on purchases. No card is necessary at first. At this point, it’s vital to point something out. Retailers often let you make your first purchase without the card, online or in stores. This opportunity is based on where you applied and often isn’t interchangeable. Therefore, you shouldn’t expect to be able to pay for purchases in store right after applying online, and vice versa. Don’t Forget About Convenience And Inventory Differences! These days, retailers rarely feature the same inventories online and in stores. You might not be able to find something in store that you saw online. Then you have to consider the convenience factor. Even if you can use your credit account immediately online, you still have to wait for goods to reach your home. On the other hand, applying for credit in-store and making a purchase provides instant results. You walk out of the store that day with the items you choose to buy on credit. No differences exist between applying for credit cards online or in-branch for banks. For retail companies, the story is sometimes different. You can sometimes make purchases right away in-store or online. A given company might make you wait for the card either way. In some situations, an in-store application makes more sense because you can leave with products upon approval without waiting. If you want to make a purchase as soon as possible, then in-store is the way to go. Banks and retailers don’t care one way or the other, though. For the average person, it won’t make a huge difference, either.